Two unrelated events could prove to have a profound impact on Daimler-Benz and the capital city of the German automobile—Stuttgart. 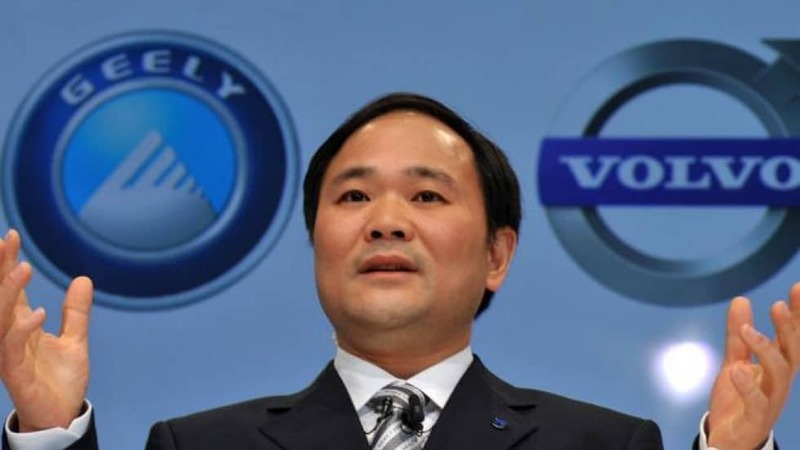 Li Khufu, the billionaire owner of China-based Geely automotive, has recently taken a 10% stake in Daimler. The potential impact of such a large Chinese investor in Mercedes-Benz could be significant in the years ahead. The government in pollution-ridden Beijing is known to be on the vanguard of pushing their domestic automobile manufacturers towards cleaner cars. Government-driven incentives has helped accelerate the development and production of electric vehicles in China. There is speculation that this large and influential Chinese investor will push for an increased focus on electrifying the Mercedes-Benz model range. Khufu’s investment in Daimler coincided with a court ruling in Germany that the city of Stuttgart can now legally ban the use of diesel vehicles. Stuttgart is the industrial city that is the home of the German automobile—and headquarters of Mercedes-Benz. Stuttgart is an automotive manufacturing hub that is widely known as Germany’s Detroit. This landmark ruling also holds similar potential restrictive legislation for other major cities throughout the country. Germany has clearly moved one step closer to banning the use of diesel vehicles on public roads. The implications of the recent court ruling are profound and this pending legislation will have a far-reaching impact on citizens and manufacturers alike. Mr. Li is from Zhejiang, a coastal province south of Shanghai. He got his start in business in refrigerator manufacturing in 1986, and moved into motorcycles and then automobiles in the 1990s, according to biography on Volvo’s website. He is now regarded as one of the wealthiest people in China. Bloomberg estimates his net worth at $13.8 billion. Mr. Li has been working to acquire an array of global automotive holdings and turn Geely Auto into the dominant player in China. Reports of his interest in purchasing a Daimler stake have been appearing in the German media for weeks. This month, he appeared by video at an automotive conference in Germany, but did not discuss the matter. “Building up brands in the European market has been the goal from the start,” he said, according to a translation of his remarks. Last year, Geely Holding bought a 51 percent stake in Lotus, the British sports car maker. It also owns the company that makes London’s well-known black taxi cabs. With Mr. Li’s backing, Volvo recently outlined plans to create a brand of upscale electric cars, called Polestar, that is intended to compete with Tesla. In the Chinese market, Geely Auto has become a top-selling brand. It sold more than one million vehicles last year. Geely Holding has also started an automotive brand, Lynk & Co, aimed at wealthier buyers. Daimler sold 2.3 million Mercedes-Benz cars worldwide last year, about a quarter of them in China. The company also makes commercial vans, trucks and buses. Ferdinand Dudenhöffer, a professor who runs an automotive research center at the University of Duisburg-Essen, said many people in Germany were cautious about investments by Chinese companies. “They need China — however, they also fear it,” he said in an email. He added that Geely could give Daimler an important partner. “With Mr. Li and Geely, Daimler has open access to the largest market of the world,” he said. Chinese automakers have long signaled ambitions to expand outside their home country. In January, GAC Motor, based in Guangzhou, appeared at the Detroit auto show and outlined a plan to expand its operations in the United States. GAC executives said they hoped to begin selling a vehicle here next year, possibly in partnership with Fiat Chrysler Automobiles. GAC also expects to open a development center in Michigan and a design center in Los Angeles in the first half of this year, the executives said. The company established a technology lab in Silicon Valley last year. STUTTGART, Germany — The star of Daimler shines bright over Stuttgart. The giant illuminated emblem of its most famous car, the Mercedes, towers above the main train station, greeting visitors. It is visible for miles. Now, though, Daimler and other automakers in Stuttgart are facing a startling new reality: It may soon be illegal for some to drive a Mercedes in this city, where the local soccer club plays in the Mercedes-Benz stadium. On Tuesday, a German court ruled that Stuttgart, one of the country’s most polluted cities, can ban diesel cars from driving in downtown areas to improve air quality. The ruling could ultimately lead to bans in a host of cities in Germany, a country with millions of diesel cars on the streets. Unlike in the United States, where diesel cars are the exception, in Germany roughly one in three passenger vehicles runs on diesel. But Ms. Merkel also has lobbied in Brussels for softer emissions targets and has so far refused to set a date for exiting coal production. Germany’s carbon emissions have not declined in about a decade. Having reiterated a target to cut carbon emissions by 40 percent by 2020 as recently as last summer, Ms. Merkel recently admitted that it will in fact be missed by a wide margin. On the question of diesel bans, she has long taken the side of the industry. “We will use all our power to prevent such bans,” she told Parliament ahead of elections last September. The ruling came as the German car industry is still struggling to emerge from an ongoing global emissions scandal that forced Volkswagen to pay more than $26 billion in fines and plead guilty to federal fraud and conspiracy charges in the United States. The company admitted to manipulating pollution controls on vehicles so that they could pass laboratory emissions tests, even as the cars continued to far exceed pollution standards on the road. In few cities is the country’s environmental schizophrenia more stark than Stuttgart, capital of the wealthy state of Baden-Württemberg. The Daimler star was visible on Tuesday, but so were brightly lit electronic signs across the city that declared a “particulate-matter alarm” and urged residents to leave their cars at home. On days like this, a yellowish cloud hangs over Stuttgart. Regional courts here and in Düsseldorf, two of 19 cities where the environmental organization is suing, had ruled that diesel bans were a viable way to bring down harmful and illegal levels of air pollution. Diesel engines emit small particles and nitrogen dioxide that have been linked to cancer and more than 12,000 of premature deaths in Germany, experts say. Local authorities appealed the rulings, but on Tuesday the Federal Administrative Court rejected those appeals. Gottlieb Daimler famously invented one of the first cars here in his garden in 1886. It is now home to Daimler and Porsche and Bosch, the world’s biggest car-part maker. Roughly one in five jobs in the region depends on the industry. School classes flock to the Daimler museum. Concert lovers attend performances at the Porsche arena. Once a year, Formula 1 drivers meet locals at the “Stars in Cars” festival. The vast majority of taxis in the city are Mercedeses — fueled by diesel. But Stuttgart, nestled in a basin framed by vineyards and forested hills, also has a long tradition of hiking clubs and solar panels on its rooftops. The city has a Green mayor, who drives an electric car, and has been governed by a coalition led by the Greens since 2011. It also has a vibrant local environmental movement, which has been protesting a multiyear, multibillion euro project in the heart of the city to move the main train station underground. Outraged at the sprawling and polluting building site, known as “Stuttgart 21,” residents have been demonstrating every Monday for seven years. This week, on the eve of the diesel ruling, as air pollution measurements reached twice the level permitted under European standards, the 406th protest took place. Braving subzero temperatures, Mr. Resch, the man who filed the driving ban lawsuit, addressed a small but noisy crowd. The state’s transport minister, Winfried Hermann of the Greens, says he sympathizes. Whenever politicians demand action on automobile emissions, he said, a familiar pattern is repeated. “We say, clean up your technology, they say it is impossible,” he said. Mr. Hermann has been increasing suburban train services and bus lines to fight pollution and also wants to create a 7,000-kilometer network of bike paths. But he knows it is an uphill battle. A short journey from the city center, in one of the many Daimler factories dotted around Stuttgart, Andreas Klatt, a machinist who has worked for Daimler for almost four decades, proudly showed off his company ID badge. “This gives you special standing, it gives you respect,” he said, describing how working for the company has helped him secure bank loans. This January, the company sold the most cars in its history, Mr. Klatt proudly recounted. Last year, he got a 5,700-euro bonus. This year it might be even more. Mr. Klatt works 35 hours a week, has seven weeks of annual vacation and makes close to 80,000 euros a year. “Working for Daimler is like winning the lottery,” he said. Wolfgang Nieke, a member of the powerful IG Metall labor union at Daimler, once worked on the factory floor but is now one of 10 employee representatives on the company’s supervisory board. Workers and bosses fight over pay. But they both oppose a diesel ban. Some 150,000 people work for Daimler and more than 60,000 of them drive a Mercedes, he said. Daimler employees get a 21.5 percent discount when they buy an in-house brand. Mr. Niess, the retired teacher and environmental activist, has won three court cases against the city for not upholding air quality standards. Once, he owned a diesel-powered car, having bought it after being told it had lower carbon emissions than a regular gas-powered car. “I bought it because they told me it was good for climate change,” he recalled. “We have all been fooled by the car industry,” he said. These days, Mr. Niess only bikes in the city. He lives around the corner from Neckartor, long one of the most polluted areas in the country. Stuttgart exceeded safe pollution levels 45 days last year, down from 63 days the year before. But the European Union ceiling is 35 days. More than a century ago, Mr. Daimler predicted that there would never be more than a million cars in the world. These days, that number passes Neckartor roughly every two weeks. The mayor of Stuttgart, Fritz Kuhn, says the only way to reconcile the dependence on the car industry for jobs and export revenues is to build clean cars. “Economic history is littered with examples where protecting today’s jobs destroys tomorrow’s,” he said. Stuttgart knows this first hand: A once-thriving and highly skilled watchmaking industry failed to keep up with modernization and largely died out. The only thing left are the handcrafted cuckoo clocks. “If Germany wants to continue to dominate the car industry, it needs to become a champion of electric cars and sustainable mobility and autonomous cars,” Mr. Kuhn said. He drives an electric Smart. Made by Daimler.